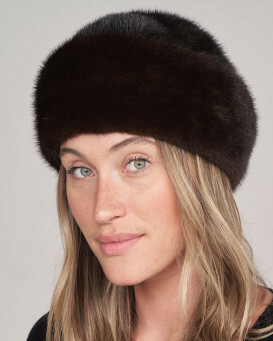 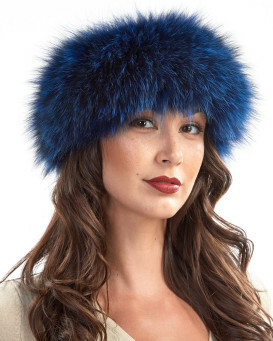 Get dressed for the winter with our Fox Fur Headband with Pom Poms for women. 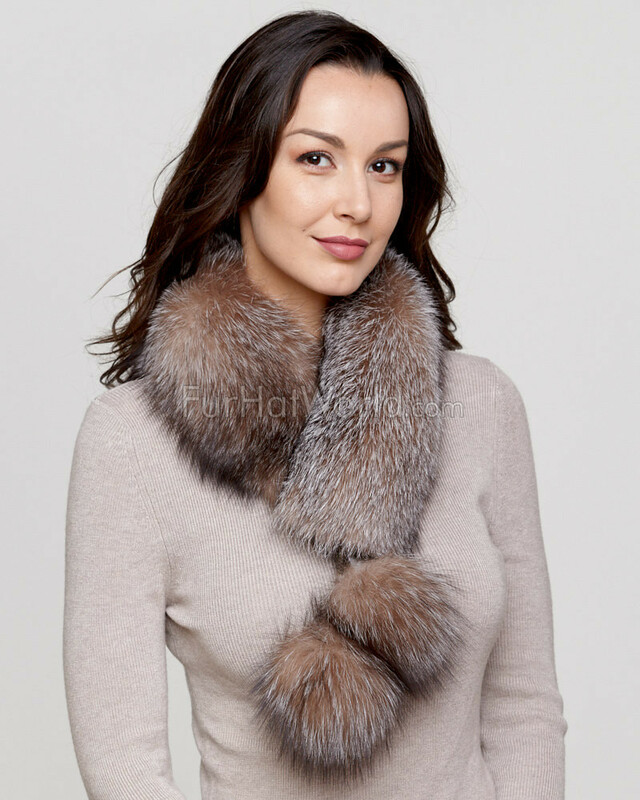 This chic style is two looks in one with long and soft genuine fox fur. 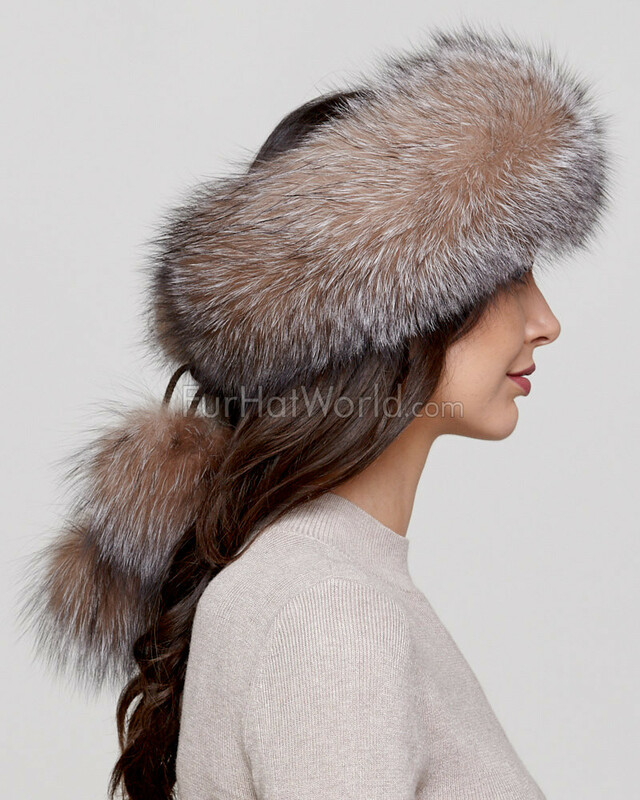 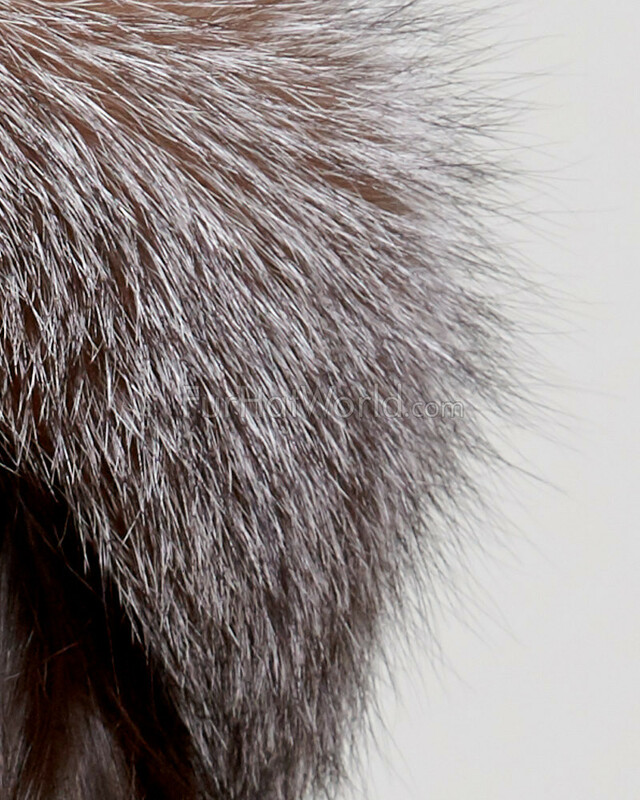 An extra wide band of full pelt fox fur details the cap for a stunning effect. 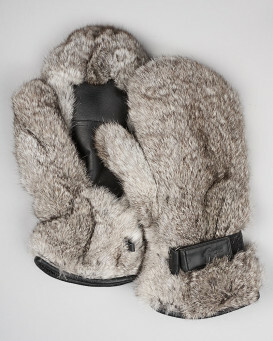 The ends attach together with Velcro so you can wear this hat as a collar as well. 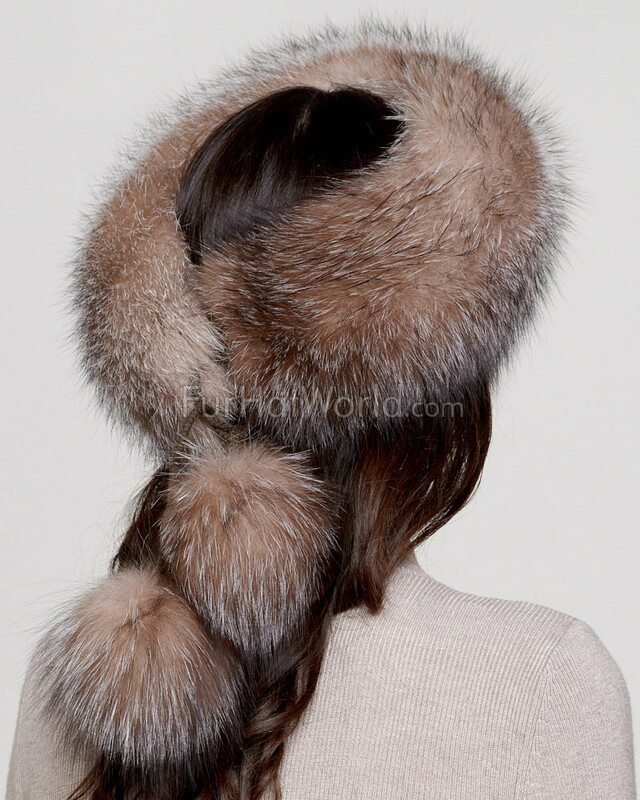 Two large fox fur pom poms accent the ends. 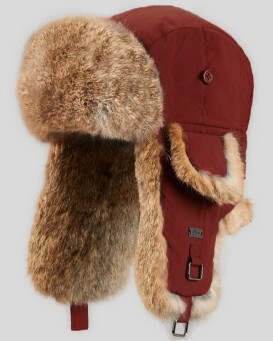 A grosgrain backing adds extra comfort to the cozy design. 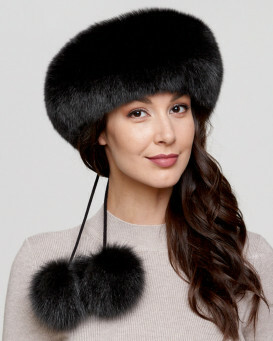 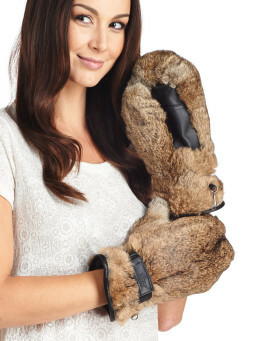 This feminine accessory would be great to wear on a romantic winter date strolling outdoors. 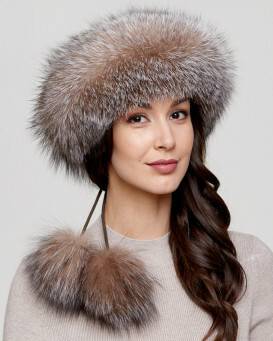 "Unfortunately I haven’t had the opportunity to wear this headband yet, but have tried it on several times, both as a scarf and headband. 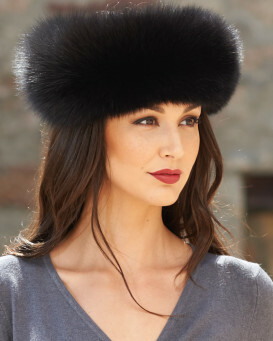 I bought it for a winter holiday overseas and cannot wait to wear it. 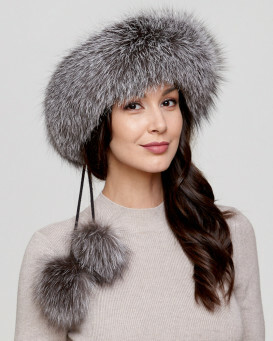 It seems like it will be perfect item and I love the fact it is convertible and very warm, stylish and comfortable to wear."